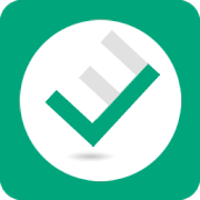 Efficcess is a full-featured “Personal Information Manager” that can help you manage your life. With Efficcess you can keep track of contacts, appointments, tasks, to-do lists, birthdays, and much more. The real time reminder will help you be a punctual person. The software also gives you space for keeping notes, diaries, and even passwords. In order to be successful you need to be organized and efficient. With Efficcess all of the things you need to manage are located in one, easy-to-use interface. This application also is a powerfull document editor and supports group management. Be well organized to get things done – the best personal information manager for highly effective people! Information Safety Safeguards. There is a Recycle Bin.Therefore don’t worry that you may delete some important information by mistake. The functions of Backup and Restore can help you conveniently save and migrate data. The software stores all sensitive information, such as passwords, in encrypted format.